Urban Frill rounds up her favorite neon pieces for summer! The best news? They are all under $45! Lipstick & Lollies mixes plaid and stripes for a quirky look! The perfect outfit for a cute, casual weekend! 100 Inspirations shows us how to get Gwyneth Paltrow's classic black and white look! Stop by to see the pieces she chose, all for under $80! 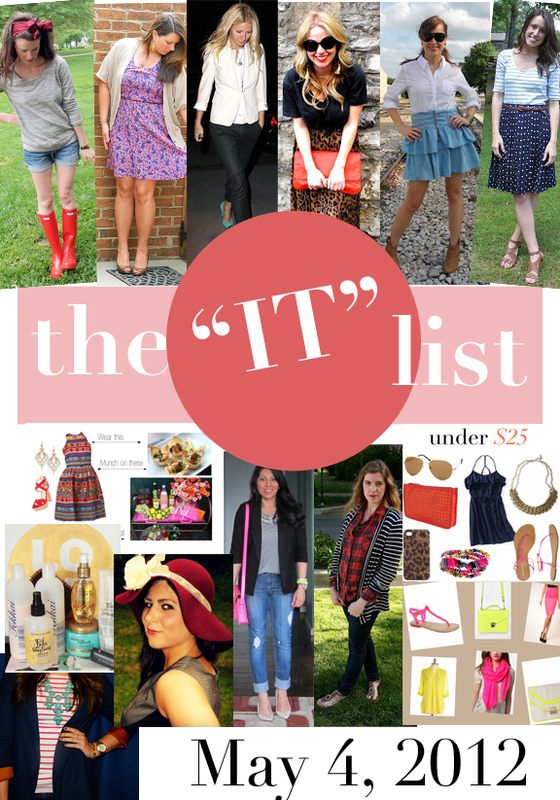 I love the concept of the it list. So many great items! Sooooo cooool!!!! Sooo many things I want for the summer! ahhah!!! Love it!